Wow, it's been just over one year that my budget and income has been published right here. Thank you for following along at home. The main purpose for sharing my budget and net worth online is accountability. The December 21 - January 4 budget is for the biggest paycheck of my life ($2,208.90). It isn't groundbreaking in its size. It is just a little bigger than before. Like all things budget related, small things over a long time add up to big things. To better represent the category of the above budget I broke out $400 from Home that I set aside for income Tax. Since I claimed Exempt on my W-4 I need to be prepared for Taxes in April. Moving ahead to the January 5 - 19 budget. My income here is now my biggest paycheck of my life, $3,003.40 (and I thought the last check was good). This paycheck is outstanding. I worked 29 out of 31 days in December. Average hours per day was 9.5 over those 29 days. Working toward paying the mortgage one month in advance. Currently I am paying my portion of the mortgage from my first check of the month. I am working toward being a full month ahead on all my bills. About a bazillion dollars is going into a bank account for landscaping in the backyard. The balance in the account is nearly $9,000 right now. We still have a long way to go on this budget item. 2016 is going to be a grind to hit all our goals. 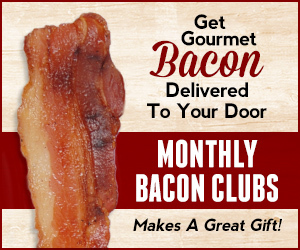 This post includes Christmas 2015 and I would like to give a big thank you to Mrs. Money Bacon Guy for buying three month membership in the Bacon of the Month Club! THANK YOU WIFE!!! comment guide: In the debate about earning more or spending less... I lean toward spending less but higher income is always helpful. What is your preference? Do you like to tighten spending or work harder? How do you balance life?